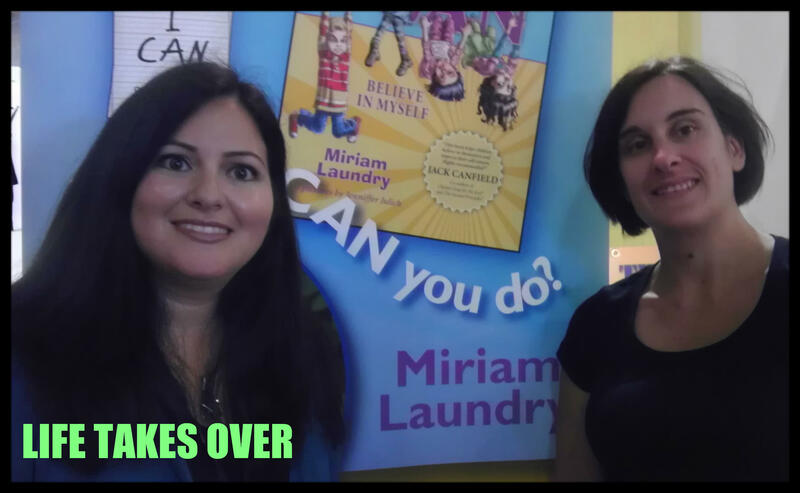 My children and I have I Can…Believe in Myself and we read it almost daily (check out our review here). When the opportunity came up to meet her on her promotional tour of her book at the CNE and to spend some time talking to her about her books, I couldn’t pass it up. I frequently have books sent to me for review, and if they’re children’s books, I give them right to my kids. They might not be able to read yet, but they are the best judges of whether a book is going to be good or not. And I Can…Believe in Myself passed the kid test right away, and it has been a favourite ever since. When I met with her at the CNE, my first thought was “Wow, how does she do it? Four kids, a book series, promotional tour.” She revealed her secret: a very supportive husband. Their children range in age from one to eight. She started writing the series after her youngest was born and her family experienced a terrible tragedy with the passing of her niece. The place she comes from to help children handle challenges and the depth of understanding she has into empowering children can be seen in her writing. During my chat with her, she explained how the loss of her niece to depression had sent her down a path that led her to write the I Can series. Her intention with her stories is to empower children and to give them the confidence and inner strength that will help them throughout life. After reading I Can…Believe in Myself, I’d say she’s doing a great job so far. 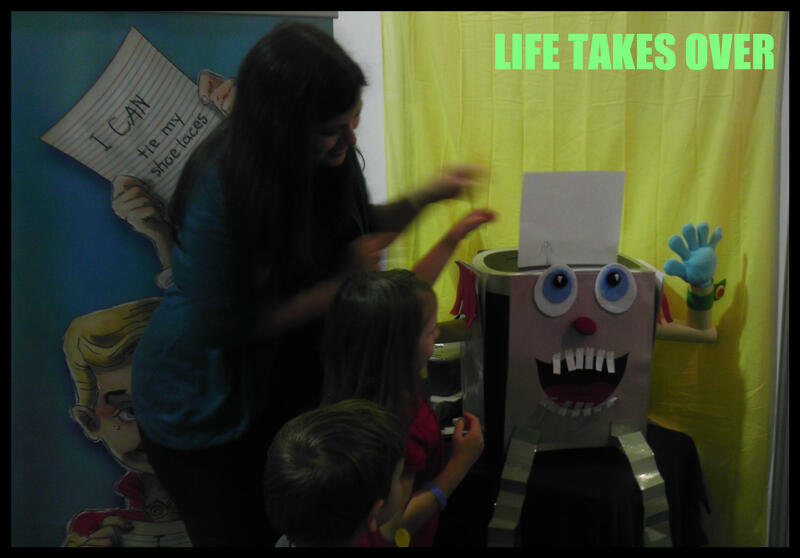 My kids also had a chance to feed their own I Can’t messages to Shreddy, the paper shredder from the story decorated by the main character, Molly. She is currently working on two more books in the series: I Can…Make a Difference and I Can… Be Happy. They’ll likely be released next Spring. My kids and are looking forward to both stories. Miriam’s messages in these books have such an impact. If you’re at the CNE this year, stop by Miriam’s booth and say hi! It sounds like a really positive and great series of books.